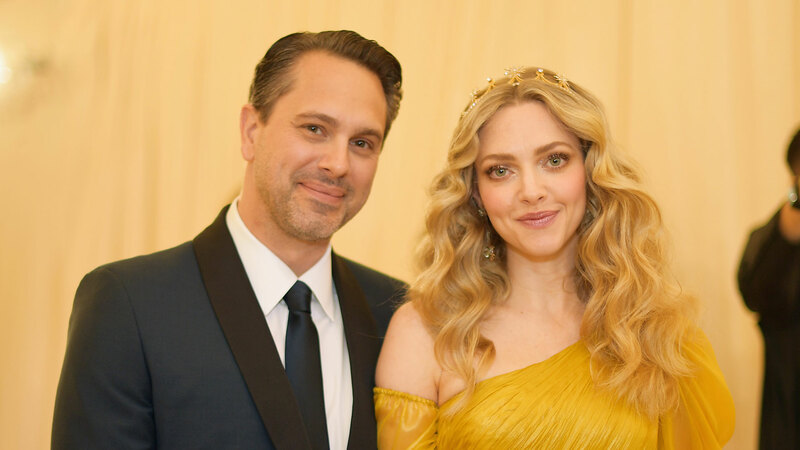 Amanda Seyfried and Thomas Sadoski rolled up to the Met Gala red carpet on Monday evening looking fresh from their glam squads and almost nauseatingly in love. Seyfried wore an off-the-shoulder gown in pleated gold silk (which kind of calls to mind the legendary yellow Roberto Cavalli dress Beyoncé wore in “Lemonade”) and accessorized with a tiara. Her husband donned a navy suit with black lapels (well done, Sadoski — we’re partial to the navy-and-black combo). But what caught our eye even more than their sharp outfits was the pair’s googly-eyed public display of affection. Even though they secretly eloped more than a year ago, the honeymoon stage seems far from over for these two, at least judging by their red carpet body language — which we all know is obviously the best way to tell what’s really going on in a relationship. Either way, it’s going to be hard for any other couple to beat Seyfried and Sadoski’s well-dressed adorableness tonight. Care to try, Kimye, Amal and George or Bey and Jay? We’ll be watching.